What happens when you are impressed by emotional acting, an exciting soundtrack and heart-thumping stunts? You get the perfect action thriller – next installment in the Jason Bourne series. This dramatic action film doesn’t contain one single joke and it is not a romance flick either. The c haracters experience multiple adventures and is a non-stop action-filled film with an exciting scene at least every three minutes, keeping the viewer engaged the whole way through. Jason Bourne (Matt Damon) has taken to boxing matches for money, but everything changes when a friend of his, Nicky Parsons (Julia Stiles) comes to him with a flash drive filled with top-secret CIA information. Jason goes on a dangerous adventure where he loses friends, makes new enemies, finds old ones and more all to uncover his past when he was part of the CIA and what happened to him. This story may sound confusing if the viewer is unfamiliar with previous Bourne stories. Although you can guess what happened in previous events as the film attempts to explain what Matt’s character is trying to achieve, if you know who Jason Bourne is and what the series are about, it’s easier to follow. The good thing is that you do not need to read every book of the series or watch all the previous films since the flashbacks and conversation mostly explains what happened before. Throughout the film there is a very intense soundtrack that adds tension to the dramatic scenes. However, the soundtrack is always intense, including several scenes which contain dialogue and would be great without any of this intrusive music. The action scenes in this film are wonderful with car chases, jumping off buildings and fights in parking lots. Each action scene is epic and clearly shows a lot of work went in to make it perfect. One major problem with the action scenes is that the cinematography is very sha ky and rapid. Although it helps put you “inside” the fight, it makes it very difficult to understand what is going on when it’s used extensively. Unfortunately, this is the case here and since this film is compiled of lots of shaky and rapid shots, it makes you feel slightly dizzy. 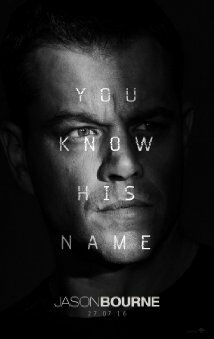 The acting in this film is legendary, with returning cast from the previous Bourne films like Matt Damon and Julie Stiles. There are also many new characters such as Alicia Vikander who plays Heather Lee. Each member of the cast excels in their roles and I give them credit for such believable performances. My favorite scene is one of the first action scenes when James Bourne and Nicky Parsons are trying to escape from Greece. One major problem is that the city is full of protests and riots coupled by the fact that the CIA is right on their tail. An epic motorcycle chase ensues as well as fighting sequences and more. It is exciting with perfect staging and the soundtrack adds a lot of intensity as well. I do not recommend this film for young kids due to the language, violence, gore and more. I recommend it for ages 13 to 18. Younger kids would find it too intense and dramatic. I give it four out of five stars because, although it has minor problems such as dizzy cinematography and a relentless soundtrack, it is an entertaining and epic thriller that will keep you on the edge of your seat. Posted in Feature Film Reviews | Comments Off on Jason Bourne – The Perfect Action Thriller! A young girl finds an unlikely and uplifting friendship with an adorable monkey in this charming, light hearted film. Katie has lost interest in her school, her friends, and gymnastics following the loss of her mother, but her outlook changes in the summer when she is asked to monkey sit Gibby, her science teacher’s Capuchin monkey. Taking care of the monkey challenges Katie and reorders her life in a big way, and Gibby’s happy-go-lucky personality renews Katie’s zest for life. 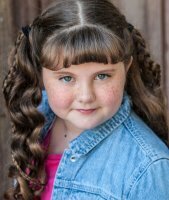 Gibby helps her with gymnastics, renewing friendships (including finding a potential boyfriend) and overcoming her nemesis, a mean girl who is out to beat Katie at everything. KIDS FIRST! Film Critic Morgan B. comments, “This film is heartwarming, entertaining, funny and adorable all wrapped up into one great movie.” See her full review below. Bananas!!! This little monkey will keep you smiling as you watch my favorite actress Crystal, use her natural monkey talents to help a young girl find her true heart’s desire. This film is heartwarming, entertaining, funny, and adorable all wrapped up into one great movie. One of my favorite things about this film is that no CGI is used. This film is very down to earth and it is good to get a break from all the amazing graphics taking over movie theaters today. There are ups and downs just like in real life and that is what makes this film endearing and believable. The acting in this is believable. I love all the different characters in this film, but my absolute favorite character is Gibby (Crystal, a capuchin monkey). She is hysterical, cute and there when you need her. Crystal has made many monkey appearances, but this is one of her best performances I have seen. I had the pleasure of meeting her on the set of We Bought a Zoo and Gibby. She is very talkative, loves to stick her tongue out and has a boyfriend that she hangs out with when she is not in the spotlight. Tom Gunderson, her trainer is like an overly protective father who loves her and takes wonderful care of this high maintenance little diva. Oh, our little monkey is not a hugger, but she likes to high five. My other favorite character is Katie (Shelby Lyon). She is lonely and depressed at first because of the death of her mother and then she meets Gibby and her whole world changes. Then, she is fun, happy and ready for anything. Her acting is wonderful and I had the pleasure of meeting her as well. Shelby Lyon is very bubbly, cute and fun to hang out with. She also loves doing gymnastics. She showed me a couple of her awesome skills and I was quite impressed. I do wish that they had more gymnastic scenes in this film. Tommy (Peyton Meyer) is a friend of Katie’s and has a crush on her but she doesn’t know it. A great friendship blooms when he volunteers to watch Crystal and help Katie over the summer with her new pet monkey. He is as cute in a person as he is in this movie. I have lots of favorite scenes including Gibby (Crystal the monkey) sneaking into a birthday party and being mistaken for a dangerous animal. Gibby is hit on the head by a crazy mother who is scared of the giant one foot, seven inch monkey. This is one of my favorite scenesbecause it really touched my heart and I found myself crying. Can you say cameo appearance? Look carefully and you will see me there in a pink shirt and a zebra dress. The lovely Vivica A. Fox also joins in on the monkey fun. I love the fact that all the girls did their own gymnastic stunts. They are very talented and a great group of young women to hang out with. Phil Gorn, the director, is brave working with both kids and monkeys. Congratulations on making an adorable movie. I recommend this film for kids as young as five who will love the adorable Crystal. Teenagers will relate to the means girls and the young love crushing going on. This is a fantastic family-friendly film for the entire family to sit back and enjoy and appropriate for ages 5 to 16. I give this film 4.5 out of 5 monkeying around stars. This film is available now on DVD from Shout! Factory so go check it out. The latest installment of the Ice Age series features Scrat in his epic pursuit of his elusive acorn. To save themselves from peril, Manny, Sid, Diego, and the rest of the herd leave their home and embark on a quest full of thrills and spills, highs and lows, laughter and adventure while traveling to exotic new lands and encountering a host of colorful new characters. KIDS FIRST! Film Critic Benjamin P. comments, “Ice Age: Collision Course is a good film with excellent animation, laugh-out-loud comedy and includes all your fun and favorite characters from the past movies.” Kamhai B. adds, “I really enjoyed this movie because it is hilarious and action packed. One of the funny parts of the movie is when Sid’s grandma (Wanda Skyes) says “that plan is so dumb I wish it had a face so I could slap it.” Brandon C. wraps it up with, “It may just be my getting older, but I felt slightly bored throughout the movie. Don’t get me wrong, Scrat (Chris Wedge) is comedy gold and Sid (John Leguizamo) commands any scene he is in.” See their full reviews below. Ice Age: Collision Course is a good film with excellent animation, laugh-out-loud comedy and includes all your fun and favorite characters from the past movies. The film follows Manny (Ray Romano), Sid (John Leguizamo), Diego (Denis Leary) and the rest of the Ice Age gang as they must divert an asteroid from flinging them into a new age called extinction. My favorite character in Ice Age: Collision Course is Scrat (Chris Wedge) who started out as a small character in the first Ice Age film and slowly became a fan favorite and the mascot of the franchise. Scrat lights up the screen every scene he is in. His brand of slapstick humor is more present here than in any other Ice Age film. I even kind of sympathize with this character because he goes through all this trouble just for an acorn. Another character I like is Buck. Simon Pegg’s talent really shines in his voice over work here. Buck has a big personality and, just like Scrat, has some of the movie’s most memorable laughs. He is in a lot of my favorite sequences. My favorite part of this film is when Buck tries to find a strategy to save the mammals from disaster. He seeks help from personalities in his mind including Neil deBuck Weasel. I’m a big fan of a television show Neil deGrasse Tyson did called Cosmos, so it was funny to see his foray into voice acting. This movie is a pleasant surprise considering this is the fifth film in the franchise. I tho ught by now the series had run dry, but this one excels on several fronts in terms of how it looks and how much it will make you laugh. I recommend you see this in 3D. It was cool seeing asteroids barreling towards me. The effects are very polished. The computer animation in this film excels and mixes lush backgrounds with great character design. The film has good comedy, most of the time. There are one or two scenes in this film that take the joke one step too far or where it is just plain gross. I give Ice Age: Collision Course an age rating of 5 to 18 because of some crude humor and sequences that could be scary to younger viewers. I give Ice Age: Collision Course 3 out of 5 stars. I really enjoyed this movie because it is hilarious and action packed. One of the funny parts of the movie is when Sid’s grandma (Wanda Skyes) says “that plan is so dumb I wish it had a face so I could slap it.” An example of the action packed part is when Buck (Simon Peg) retrieves an egg from a group of dino birds who stole the egg. Another example is when the comet almost crashes into earth but Manny (Ray Romano) stops it from crashin g into earth. This movie is about a meteor that crashes into Earth every thousand years. So it is up to Sid (John Leguizamo), Manny and the other animals to stop the comet and save the day in only a matter of minutes. A side plot is about Peaches (Keke Palmer) who is getting married and moving far away from her parents. When her parents hear this, they try to stop her from doing it. The graphics in this movie are great. I’ve seen other 3D movies, but this takes the cake. For example, when you see the 3D comets, they look as if they are real. So I think the graphics team excelled because the graphics are colorful, believable and bright. I also liked the part where they make everyone look old. I liked this part because it is just so realistic. I also like the storyline of the movie. It is so good, it had me at the edge of my seat. I think Ice Age: Collision Course is a great movie and recommend it to ages 5 through 13. I say 5-year-olds only because it will captivate and hold their attention. And I chose 13-year-olds because they will laugh and understand the hilarious humor in the movie. I the film 5 out of 5 stars because it is funny, entertaining, colorful and bright. You can find this movie at your local movie theater July 22, 2016. Thanks for reading, I’ll ice you later. Going into this movie, I realized that I had not seen an Ice Age movie since I was a kid. While I still knew the main characters and the type of film I was in for, nothing prepared me for Ice Age: Collision Course. The movie follows the gang in their quest to survive and possibly stop an asteroid from hitting Earth. With the help of their new acquaintance Buck (Sean Penn), the original gang and their families band together through a big adventure in a very kid-friendly movie. It may just be my getting older, but I felt slightly bored throughout the movie. Don’t get me wrong, Scrat (Chris Wedge) is comedy gold and Sid (John Leguizamo) commands any scene he is in. At the same time though, I just got annoyed by the other characters. The comedy feels a bit forced and I did not care for the characters. Also, I did not hear any great lines from Manny (Ray Romano) or Diego (Dennis Leary) for that matter. Like I said, this movie is not meant for me. 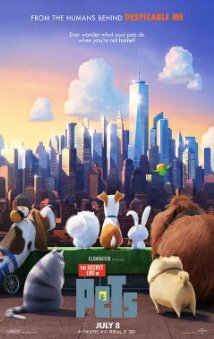 There is a great amount of kid-friendly comedy and the film has a Zootopia sort of tone of teaching the audience morals and life lessons. From a technical standpoint, I saw no flaws as everything is sound, from the editing to graphics to audio. That being said, Ice Age: Collision Course lacks in entertainment value. When you have Ray Romano and Dennis Leary – two great comedic talents – at your disposal and you give them little to nothing to work with, you are not utilizing your talent properly. It would be the equivalent of the New England Patriots not starting Tom Brady as their quarterback. It makes no sense. In conclusion, while the film as a whole is not as appealing as I thought it would be, there are still some great moments throughout the film including some sneaky references and a few Neil deGrasse Tyson appearances. I give Ice Age: Collision Course 3 out of 5 stars for the great technical aspects but lackluster entertainment value. Chess doesn’t gather nearly the audience that head bashing sports do, but every now and then the film industry turns to this highly intellectual sport for inspiration. 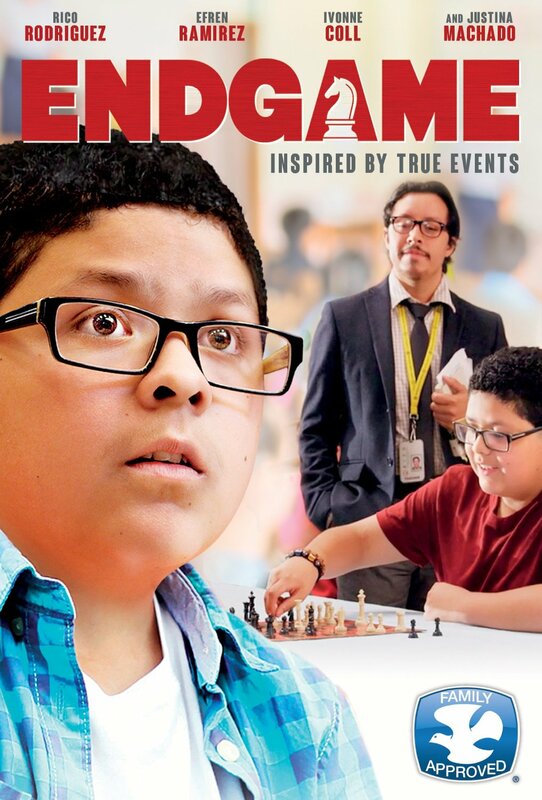 Endgame follows 5-year-old Jose (Rico Rodriguez, Modern Family) who has learned how to play chess like his grandfather and joins the Brownsville school team where he has the chance to use his skills and, for once in his life, find himself in the spotlight. Based on a true story, this film will touch your heart and perhaps inspire you to indulge in the game. KIDS FIRST! Film Critic Morgan B. comments, “This film is a wonderful combination of emotions – one minute you are sad and crying, then the next you are happy and laughing.” Benjamin P. adds, “Endgame is an interesting film with some good characters and memorable performances, but the plot could use a little work.” See their full reviews below. Chess, the game that is so simple, yet so complex and difficult is coming to your TV screen in this great film called Endgame on Blu-ray. This film is a wonderful combination of emotions – one minute you are sad and crying, then the next you are happy and laughing. I love that the film does this and that it really makes you feel like you are there. The acting in this film is very well executed, but my favorite character is Jose (Rico Rodriguez) wh o is one of the stars of Modern Family. He is goodhearted and loves to play chess just like his grandmother or Abuelita in Spanish (Ivonne Coll) who starts teaching him the game of chess at the age five. Jose is going through a tough time. We see him stumble and fall but friends, family, chess and determination come to the rescue. Karla (Justina Machade), Jose’s mother is depressed and sad for many reasons and she is mad because her mother has taught her son how to play chess even though she doesn’t approve. The principle (Jon Gries) doesn’t think that there should be a chess club and that it is a useless cause. Mr. Alvarado (Efren Ramirez), a teacher at Jose’s school thinks that all children should know chess and that it can change their world for the better. Sandy (Cassie Brennan) is adorable and very funny. I like that she tries to help Jose (Rico Rodriguez) when he is playing chess with other competitors by distracting them with her flirtations. She uses her girly charms to her advantage. Movies that show women as strong mother and grandmother figures are so important to our youth. I love all the women in this film. They have many complex aspects to them. There is always a fine line between grandparents’ and parents’ roles which is funny because they all want the same thing – for their children to be happy and healthy. My favorite scenes are those when Mr. Alvarado (Efren Ramirez) have the children play chess on a life size chess board and they are the chess pieces. I love these scenes because they are hysterical and this is great idea for children to learn how to play chess. I will be trying this with my friends and family now because it looks like so much fun. The fact that it is based on true events is astonishing. I like that it is so real and well portrayed as it makes you become really engaged in the characters and the out-come of this true story. Hurray! I love the end of a movie when they have captions that tell you what happened to the real characters after this event in their timeline. I wish that this film included just a bit more about chess and explained it a bit better. I have played chess many times and enjoy the game. Although you do not need to know how the play chess to enjoy the drama and family struggles, basic knowledge of the game helps you to better understand what is going on especially when they show scenes regarding competitions. I liked that they showed it as a game of strategy and that you need to know your opponents next move and never lose focus. I recommend this film for ages 9 to 18 and think adults will also like this film because it is about chess and they might even learn a new chess move or two. Children will learn from this film because they will be able to see Jose struggles and see how he deals with issues such as anger, frustration and hurt. I give this film 4 ½ out of 5 chess piece stars. Endgame is an interesting film with some good characters and memorable performances, but the plot could use a little work. Although, at the end of the movie, I had a smile on my face. At a very young age, Jose (Rico Rodriguez) starts to learn chess from his Abuelita (Ivo nne Coll) but he has always been in his brother’s shadow. When tragedy strikes, Jose receives a calling to become a chess champion. The movie is inspired by the true story about a school in Texas that built an champion chess team. My favorite character is Mr. Alvarado (Efren Ramirez) because he never gives up on the kids and even spends his rent money to get them to a tournament. Another character I like is Jose’s grandmother because she is always giving him good advice, encouraging him to do the right thing and she teaches him to play chess. There are other performances that stand out for me. Rico Rodriguez puts a lot of effort into his role and he is very believable. So does newcomer Alina Hererra who plays Jose’s friend and is the person who gets him interested in playing chess for the school. As much as I like the characters and the actors, the plot is uneven and I feel as if I’ve see n parts of it in other films. Some scenes are pretty inspiring, but others just feel cheesy and stylized. When the plot tries to take an emotional turn, sometimes it ends up going flat and didn’t resonate with me. I enjoyed the ending of this movie anyway because it is a pleasant surprise. Compared to films about baseball or football, chess doesn’t get much attention in the film industry, so it is nice to see it recognized in this film. I am also surprised how deep the film delves into social issues. The ending also managed to surprise me in spite of the plot problems in how it was executed. I like some of the music in this film and it really signals the right tone in some scenes. I recommend this film for ages 12 to 16 due to some language and some crude humor. I give it 2 out of 5 stars. It’s not perfect but if you like Rico Rodriguez from the TV series Modern Family or chess, you’ll probably enjoy Endgame. From the producers of Despicable Me, The Lorax and Minions comes another family-friendly animated film in this story about a terrier named Max whose quiet life is upended when his owner takes in Duke, a stray mutt whom Max instantly dislikes. With vibrant animation and a great cast, this is one you can share with your entire family. KIDS FIRST! Film Critic Willie J. comments, “This film will not dazzle you with a wonderfully woven plot, but it will undoubtedly entertain you with dynamic characters and strong jokes that land more often than not.” See his full review below. Let the debates begin and if they haven’t begun, allow me to start: Zootopia or The Secret Life of Pets? – two acclaimed comedic animated movies featuring talking animals. Well, I’d like to throw in my opinion – The Secret Life of Pets, while less cleverly plotted, is much better written and animated. This film will not dazzle you with a wonderfully woven plot, but it will undoubtedly entertain you with dynamic characters and strong jokes that land more often than not. The day of New York City misadventures for Max and the newly picked up Duke, is reminiscent of those zany 50s and 60s comedies. Without coincidence, those decades were very popular for films set in the “City that Never Sleeps”, parti cularly for comedies. Jokes about hipsters moving to Brooklyn and New York City alleyways are featured in the film, paying homage to the city. But even better than that, are the beautiful shots of New York City in this film. It would give the opening scene in Manhattan a run for its money. The cinematography in this film is absolutely gorgeous, worthy of being full sized paintings to hang on your wall. Master shots include New York City at night with the lights from the moon and the buildings illuminating the city, aerial shots of the city in the daytime with beautiful weather and an air of inspiration. The images captured in this film are among some of the best of any animated feature ever and I’ve no issue saying that. But, the imagery isn’t the best part of the movie. Naturally, its the characters of the film. For a comedy of this nature to be successful, the writer/s must come up with strong characters who make strong choices. So the jokes end up bolder and have a higher probability of landi ng. This movie is filled with those. Archetypes pervade the movie such as the longing ingénue, the idiotic gang leader, the fearless elder and the neurotic straight man (the main character). These familiar characters were popular in comedies during the 50s and 60s and further highlight the style of film this is, which is quite refreshing. As a matter of fact, the relationship between Duke and Max is reminiscent of Walter Matthau (Duke) and Max (Jack Lemmon), who were a successful duo in cinema in the 50s and 60s. This film is so much like others of that era, I can see Billy Wilder directing this. Lastly, and what impressed me most, is the score. It is an up tempo, lighthearted score. But, what makes it so impressive is how often it is used. In today’s comedies, a score isn’t used often. Because we’re in an age of off-beat, dry comedy, an accompanying score ruins the tone and wipes away the awkwardness. This film uses the score like those comedies of the 50s and 60s, which creates a more lighthearted comedic tone and gives comedic rhythm to the scene. It also makes scene transitions less awkward and helps with pace. The score itself is a wonderful, having been scored by the great Alexandre Desplat (The Grand Budapest Hotel, Deathly Hallows Pt. 1 & 2). I’d love to see it in contention for the Best Score Oscar (although seeing the fate of Inside Out’s beautiful score, it may not happen). So with all of this nostalgia, the movie really impressed me. It’s not easy to go against the grain and pay homage to classic Hollywood. Speaking of which, I am loving this trend in animated films today that reference older movies. Inside Out referenced Chinatown, this movie referenced Some Like it Hot (a cat says to a dog trying to date her, “I’m a cat” and the dog says “Well, nobody’s perfect”), The Birds, and Grease (even singing a song from the musical). It’s very satisfying for movie fans. With all of that said, I give this movie 4 1/2 out of 5 stars. The reason it misses out on perfection for me is because I feel the plot could have been tighter and I wish the film had a little bit more to say, or at least say it meant to say a little louder. But nonetheless, I know your kids will enjoy this film and you will too. I recommend it for ages 6 to 18 and it can be seen at a local theater near you when it opens July 8. You are currently browsing the KIDS FIRST! News weblog archives for July, 2016.